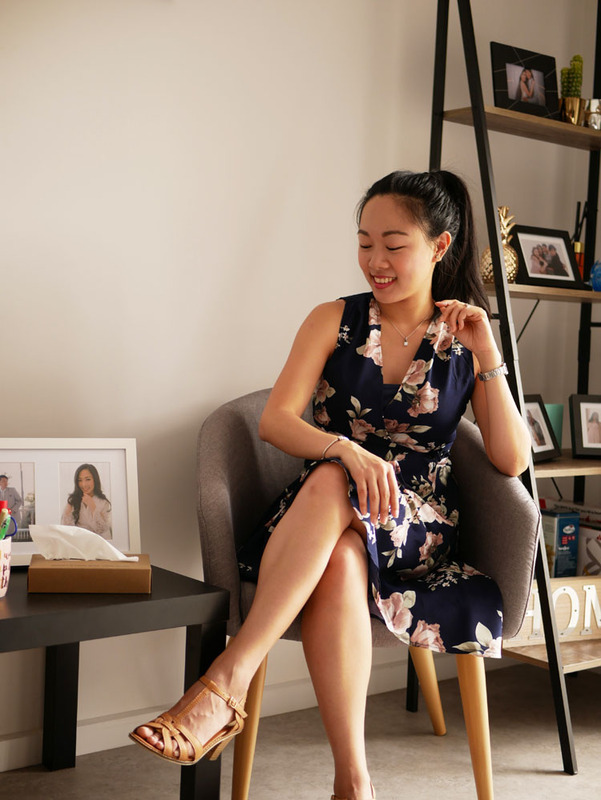 After a relaxed day lounging around in my high low floral sleeveless dress from Dresslily, I thought it would be a good idea to show you around our living room which we decorated on a tight budget. Think it's not possible? Here's a few ideas to get you excited to decorate your own living room. 1. Pick a good rug. A rug is a staple piece in your living room. It can put the feel of your living room together - or totally ruin it. We found the perfect one for us on our trip to Melbourne and we immediately fell in love with this navy blue shaggy rug. It's so soft and exudes a luxurious feel - you'd never think we got it on sale for only $199! 2. Personalise a decor shelf with photos or your favorite books. 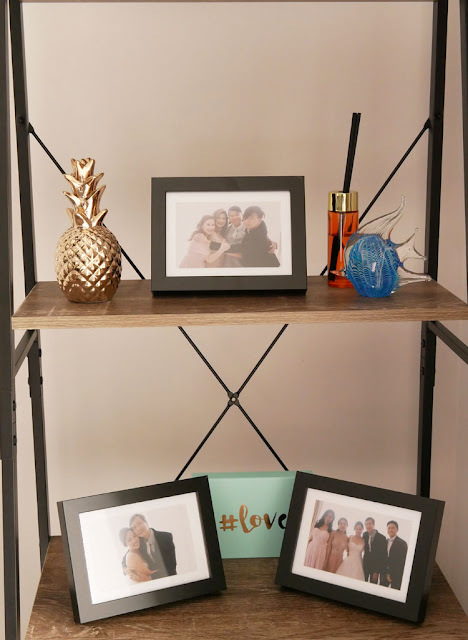 Nothing says "home" more than photos of family. The perfect thing about decor shelves is that it also provides room for organisation. While I left the top 3 shelves for photos and decor, the bottom one I left to organise some board games. Can you believe I got this shelf for only $45 from Kmart Australia? 3. Add some metallic shimmer. Something about gold that just adds the much needed "ooohh" and "ahhh" and that touch of luxury to your living room. Doesn't mean you have to shell out so much money though! For example, this fake cactus plant in a gold vase was on sale for only $2. The gold pineapple that I was obsessively searching for, I got for less than $15. Candles in beautiful candle holders are perfect too. 4. 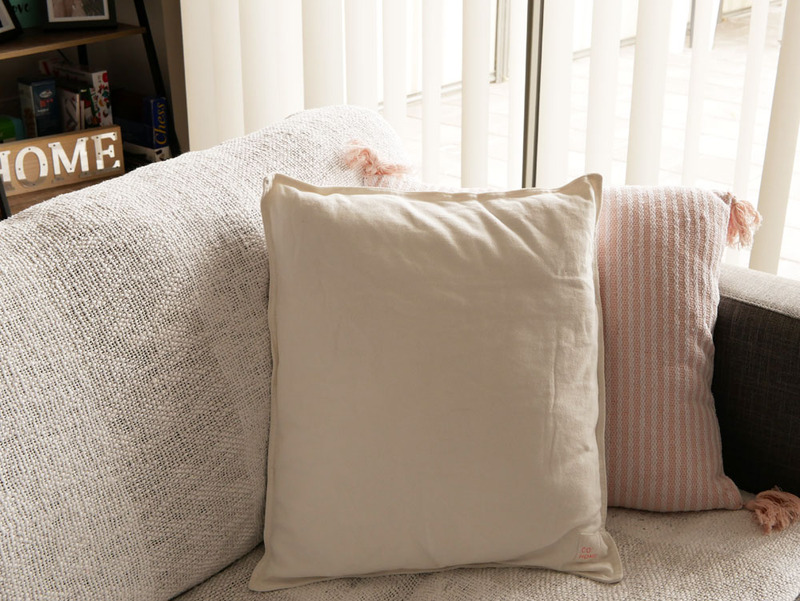 Add touches of color via your choice of pillows and throws for your couch. Here's a little secret - we added this throw over our more expensive sofa to keep it from getting dirty when friends come over. Lol. Also, a soft touch of my favorite color - pink - through these pillows which we got on sale for $10-15 each from Cotton On Home. 5. Get with the season. Since it's Christmas season, I insisted on a Christmas tree. The hubby wasn't that into it - he didn't want to spend on something that would potentially be messy (just a wee bit O.C.) and so short-term. So we compromised on a $12 tree and decor worth less than $20. 6. Pick a key piece - a painting, or better yet - a personalised canvas print. Seriously in love with this shot from our engagement photos so I had it blown up to a large sized canvas. These can be quite expensive. Thankfully, I got this for half price at less than $180 at Harvey Norman! 7. Set up a small sitting/coffee area. Would you believe this chair was only $45 at Kmart? And this coffee table we got for free from a friend. As with fashion, you should feel free to mix high end items with budget pieces. We picked this chair because it came in the same color scheme as our couch so the whole living room is still cohesive. Do you have any budget living room decorating ideas? P.S. 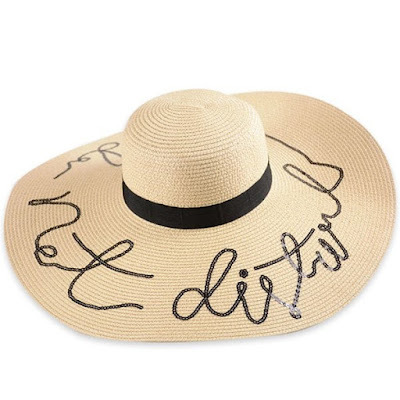 If I wore this dress on a holiday, I would totally add this wide brim straw hat too. Love your living room tips! Cute dress! So many awesome decorating tips- makes me wan to give my living room a spruce up! These are such amazing tips sweetie! <3 Love the personalized canvas print idea! :) Thanks for sharing and have a wonderful day! Great tips! Love the way you style! Beautiful picture of you two. Your living room is adorable and these are all great tips. I love the idea of have a little sitting area to sip a drink! I would have to agree, the rug is easily one of the most important part of the room. Great tips. Adding a good rug is so easy but effective! Such a nice post cutie! l could really use these tips since I have a whole house to decorate! Have a lovely weekend! These are such good tips! And I love the simple and bright decor ideas. Especially the gold accents. And loving the pineapple. We're decorating on a budget too, so this is super helpful! Love the soft colours of your living room! 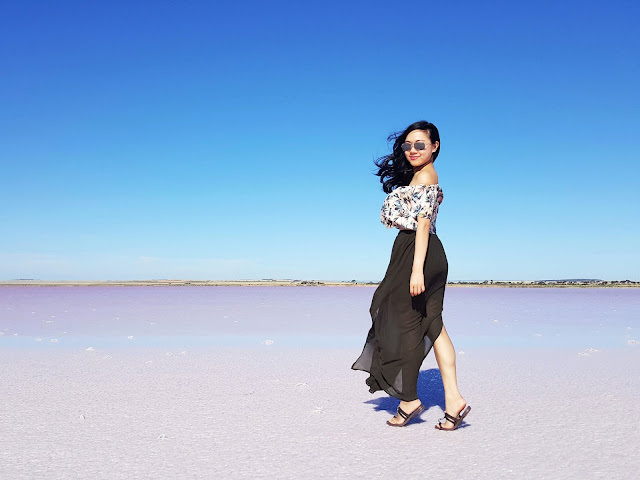 These are some fantastic tips and your photos are beautiful! I could definitely do with making a few changes to my own living room. I only recently got a rug and it makes such an enormous difference! 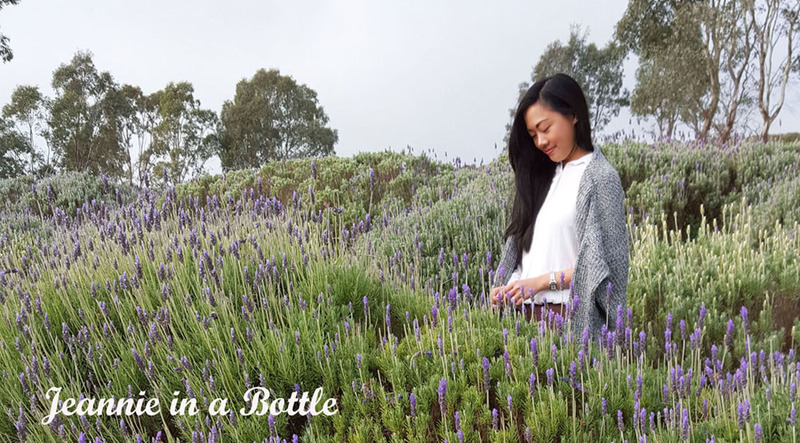 This is a great post, thanks for sharing. Your place is gorgeous, and so re you! I'd never say that such a lovely rug was under $200! Loved the picture on the wall! I am actually renovating my living room, and it is taken longer than planned - I need to wait for the workers own time and promises... not good :) Hope you have a lovely week! 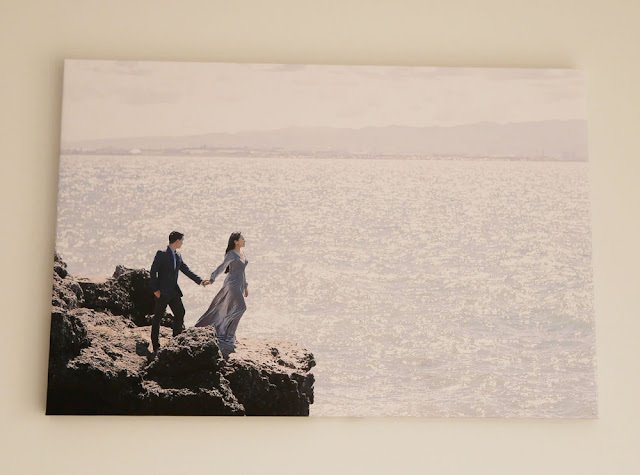 I like that you put a throw cover on your couch and seriously that blown up wedding photo of yours is an art. Awesome tips babe, love the cushions!! What a fabulous way to keep within a budget, yet still have a wonderful environment in your place!! Great tips! Love the gold pineapple, and that gorgeous hat! This sure are great tips! I plan to redecorate my room before the end of the year, and some of these tips will be helpful! Thanks for the tips! I'm definitely going to Kmart soon. I've been looking for a chair just like that one you listed for a while now. Great post! these are such great tips thank you for sharing! You have such a lovely home Ms. Jeanne! Love all these ideas. Your living room looks amazing! I love how you displayed all your beautiful photos! Your space is so so lovely, absolute goals! you have a charming living room! I especially like the rug! Love the rug and that chair is beautiful! Can't believe it was so cheap! These are such great tips. I need a new rug! Love that hat too I need to add it to my wishlist. Adore your living room! And display shelves, all the way. So cute! I love your printed canvas pic tooo!!!! Thanks for sharing all the good tips! I just moved in with my boyfriend so I've been going crazy with re-decorating! I think the hardest thing for us to find was the rug but during black friday I found the best deal for the perfect shag at Target! Your living room looks so good. I love how it turned out. Oh wow so many great finds and tips. That is wonderful rug and love the blown up stretched canvas photo, perfect! Lovely photos, i liked the gold pineapple! and you look so perfect in that dress, lovely. Definitely a living room I would love. Simply nice!! A shelf and some chic looking ornaments like metallic will always do the trick. Omg so many great ideas girly! !